The unassuming 2011 Hyundai Sonata is an economy car buyers dream, making you feel like you have found something truly special. Its trusty 2.4L 4 cylinder engine can get up to 35 mpg highway.Fuel efficiency never looked so great! Not only does this vehicle ace the test on fuel efficiency, but on comfort and space as well. It has a high class cabin for the price, and delivers a smooth and secure ride, with a spacious, adult friendly back beat. The sizeable trunk also ensures that you have plenty of room for your haul around town or across the country. Do not pass up the chance to see this deal of a car. Call us today at 205-540-3298 to schedule a viewing... We Know You Will Enjoy Your Test Drive Towards Ownership! WE HAVE FINANCING OPTIONS AVAILABLE! 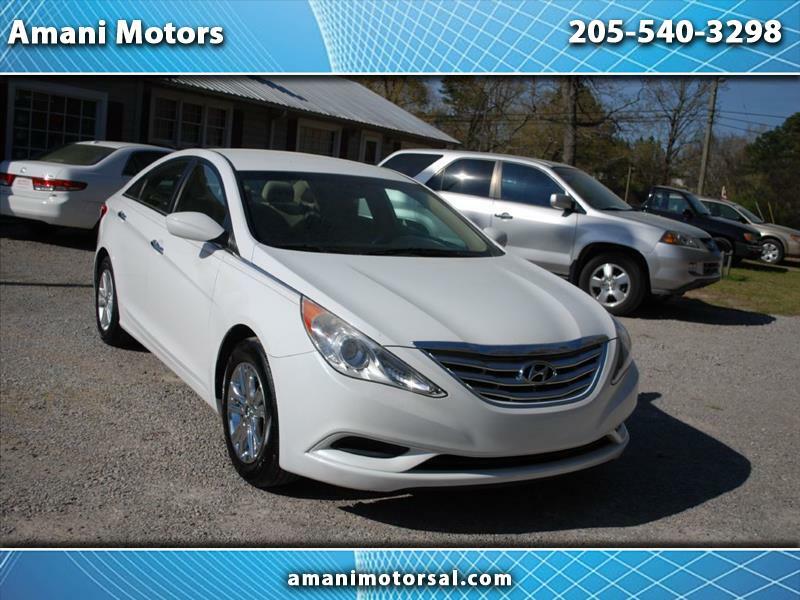 Visit Amani Motors online at amanimotorsal.com to see more pictures of this vehicle or call us at 205-540-3298 today to schedule your test drive. I give this dealer five stars. They provided excellent customer service and the buying process was painless. The 2010 Altima I purchased is a great car well maintained and I have not had any problems with it. I must say this car dealer cares and ensures that the vehicles sold there are great. Very honest people and I appreciate that. I would recommend them to all my family and friends.